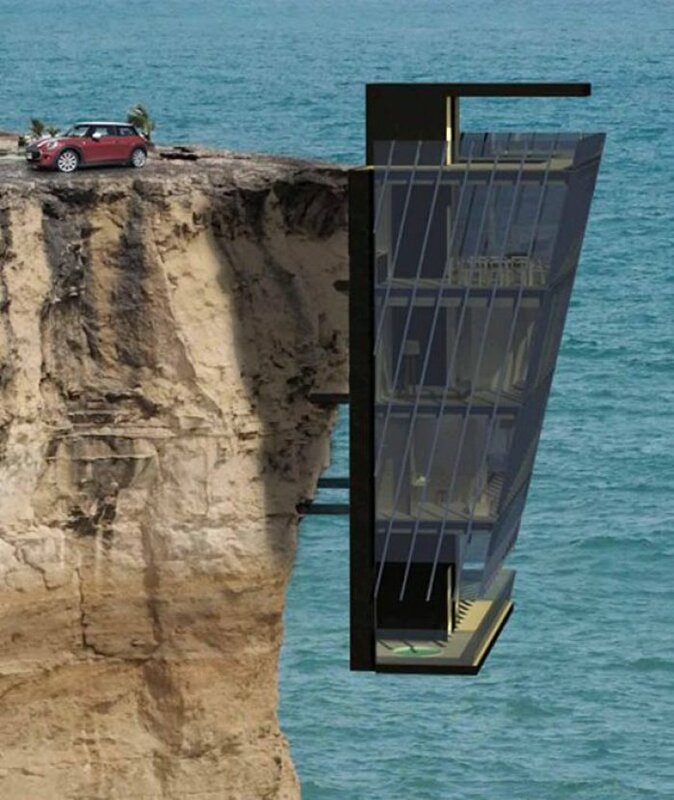 These Spectacular Cliffside Houses Will Leave you Breathless. Living on the Edge. Historically buildings on or near cliffs were build to protect the inhabitants from enemies and to have a better oversight of the surrounding areas. In today's world cliff side houses are mostly built for the spectacular view. 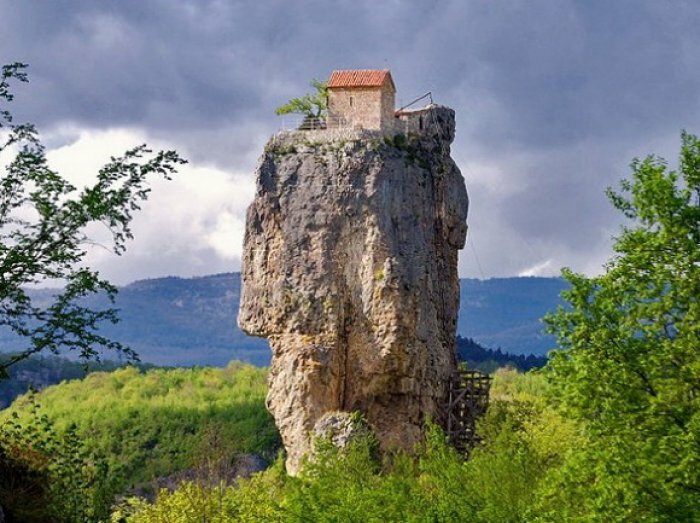 Or just because, well, owning an unique house on the edge of a cliff is just really really cool. We have collected some of the most spectacular historical as well as modern cliff side buildings and homes. As a bonus we even threw in one where the cliff came too close and the house needed to be demolished. 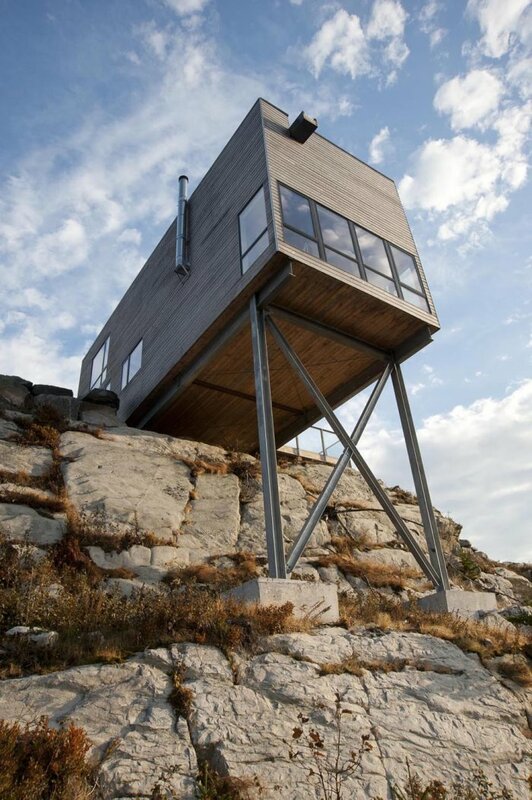 #1 - This cliffside house Designed by MacKay-Lyons Sweetapple is a first in a series of similar houses simply called the "cliff house". This ultra modern house sits beautifully in it's sparse surroundings. #2 - The Church of Katskhi Pillar in Georgia remained unclimbed until 1944 since it was abandoned. The ruins have been restored and rebuilt and to say the least the view of the building is almost haunting in it's solitary. #3 - In one of the small Spanish towns of Calp resides this highly modern house designed by Fran Silvestre Arquitectos. 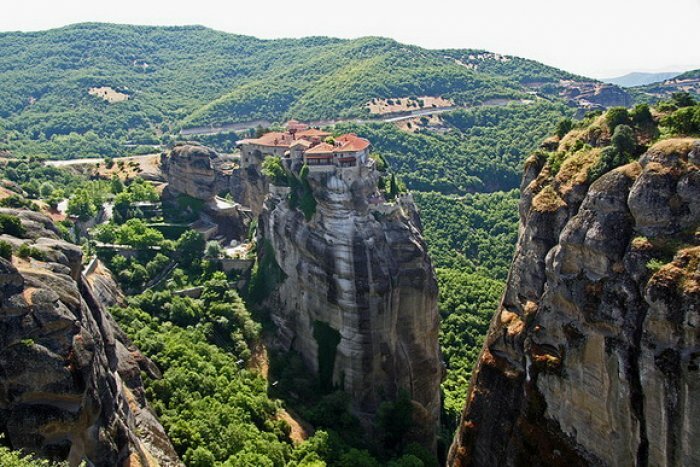 The view is absolutely stunning and staring down the steep cliff will leave you breathless. #4 - This one is all over the internet and most report that it is an already finished house ready to book/rent for a vacation. But as real as it looks, the truth is its just a concept. If however they ever build the concept, the view will be absolutely outstanding! Because of it's remote location, no humans are living in this old shrine - only a few dozen monkeys and the spirits of the Burmese religion are believed to reside here. 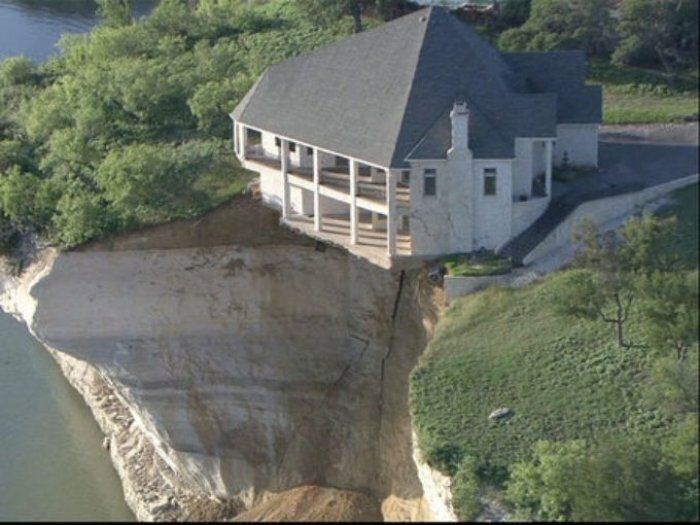 #6 - This amazing house built on a crumbling 75-foot limestone cliff is an awful reminder of the risks living on the edge. The family who bought this house were assured that it was built on solid ground. Unfortunately this was not the case and the fire crew ended up burning the house before it tumbled down the cliff. 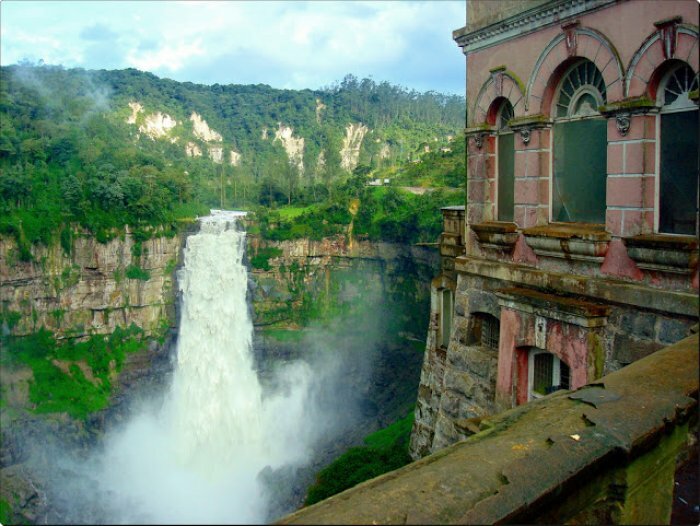 #7 - The Haunted Hotel at Tequendama Falls is one of the most spectacular looking cliff side buildings. This picture is taken before the hotel was restaurated into a museum. #9 - The Berman House designed by an architect Harry Seidler, is one of the most outstanding modern cliffside houses. Since it resides in the New South Wales Australia, bush fires are a risk the residents are used living with. For such incidence there is a huge natural swimming pool for water supply.